Take the tour that tells the story of the first inhabitants in La Nouvelle Orle'ans; The Creoles, (1718) and Les Americains after the Louisiana Purchase (1803). Truly a tale to be told, not by #Dickens standards but, nevertheless a tale of two fascinating cultures. Tour begins at the river; everything begins with the river. 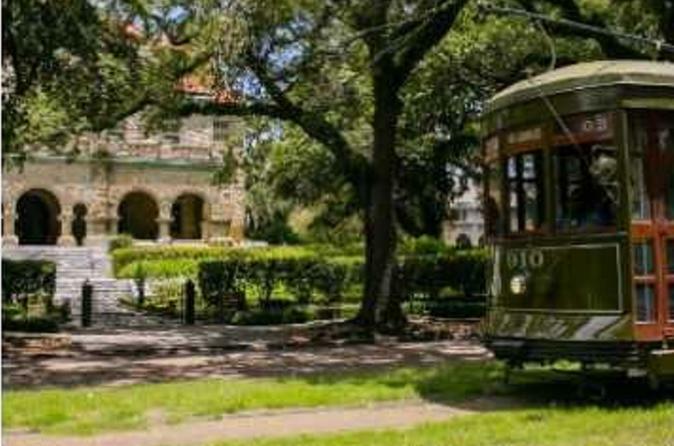 Touring the French Quarter, touring on the oldest running streetcar, #StCharles and touring the Garden District, is the progression of the tour. Tour concludes with complimentary beignets and cafe' au lait. Truly a tale to be told, not by #Dickens standards but, nevertheless a tale of two fascinating cultures. Tour begins at the river; everything begins with the river. Touring the French Quarter, touring on the oldest running streetcar, #StCharles and touring the Garden District, is the progression of the tour. Tour concludes with complimentary beignets and cafe' au lait. Take the tour and have a Historical Experience. A historical tour, of a historical account, given by a Civil War Historian, Judy Geddes Bajoie. Tours by Judy is recommended by the New York Times, and featured in the Lonely Planet Guide Book.